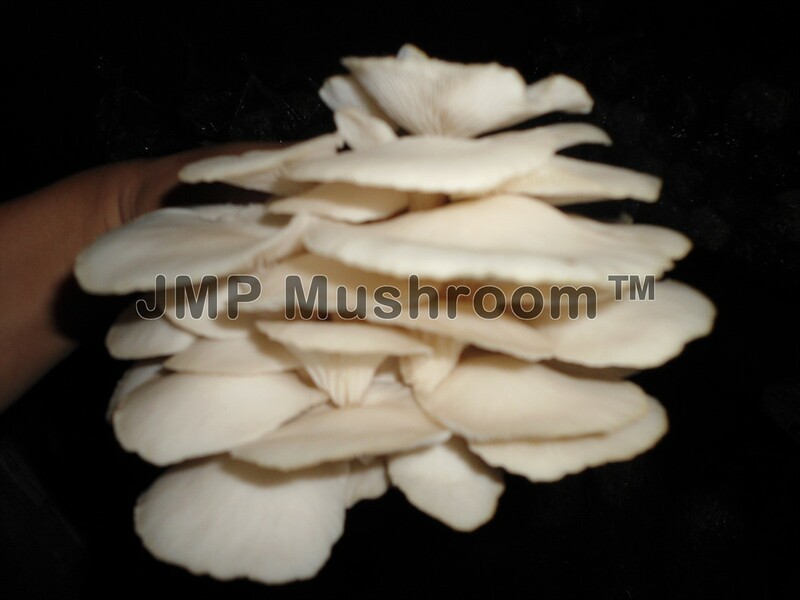 Like other mushrooms oyster mushrooms are also grown in an environmentally controlled building. These mushrooms require a bit more humidity and fresh air than the agaricus varieties. Oysters are grown on a range of agricultural and wood waste products including hardwood chips, chopped cereal, straw and corn cobs. After the growing medium is pasteurized it is cooled and then inoculated with oyster spawn and packed into long, tube shaped plastic bags. Holes are punched into the bag to allow for the oxygen to initiate mycelial growth. The bags are either hung or set up on racks in the controlled growing room. The oyster mushrooms will begin to grow out of the holes that were punched in the bag. After about 14 days the mushrooms are ready to be harvested. Like all mushrooms, oysters are also harvested by hand. Pickers will simply cut the mushrooms stem as close to the plastic bag as possible. This will allow for another flush to come through. how much kilos of oyster mushroom? how much is the oyster spawn? Are they edible? I've never heard about oyster mushrooms actually, that's why I'm asking. I've found about them when I purchased a translation of an article about different mushrooms. The firm, where I bout it, was listed at PickWriters and had very high rate there, so I was sure they will make their job good. But I've found information about Oyster mushrooms and decided to check if they are real. JMP MUSHROOM ENTERPRISE. Awesome Inc. theme. Powered by Blogger.